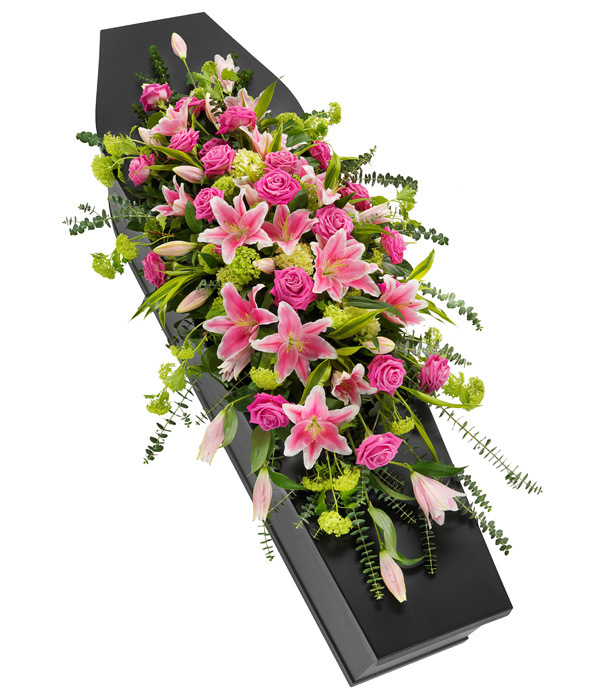 A gorgeous pink Rose and Lily casket spray with Hydrangea and Viburnums interspersed with Aralia, Eucalyptus and striking variegated lime Dracaena leaves. 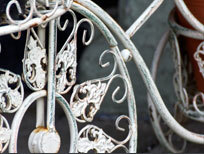 The delivery will take approximately 1-3 working days from the shipping days. Deliver to a different address? 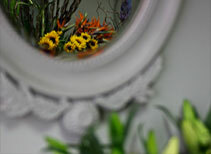 Please note that our bouquets all have a very heavy flower content, unlike some other suppliers. If a bloom pictured is unavailable for any reason, then our team of expert florists will substitute the bloom for a flower of the same or higher monetary value; we will never fill out a bouquet with foliage. If you have very specific requirements regarding flower content, then please contact Montpellier Flowers in order for us to ensure that you will be completely satisfied with your purchase. Picture showcases our large bouquet.